EIGHT URC® DEALERS IN THE US AND ABROAD RECOGNIZED FOR SUPERIOR DESIGN, SPECIFICATION AND INSTALLATION OF ADVANCED HOME AUTOMATION AND ENTERTAINMENT SYSTEMS. 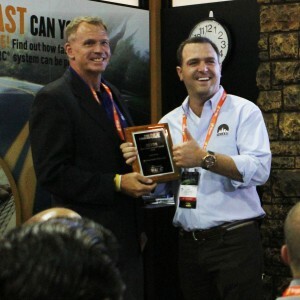 Denver, CO. – CEDIA Expo, September 11, 2014 – URC, the leader in whole-house control, hosted a festive celebration to honor eight dealers for outstanding installations as the curtains closed on the opening day of CEDIA Expo 2014. The competition, dubbed “URC Unsurpassed Dealer Awards,” was launched as part of URC’s year-long 25th Anniversary celebration. Contest lines were divided by URC product categories (Total Control and Complete Control), with additional recognition given for Most Unique Install and Best International Install.